Licorice and chocolate just got a bit twisted with this new twist on confectionery heaven. They've taken their original licorice recipes and filled them with smooth delectable Belgian-style milk chocolate centres. Ingredients: LICORICE TWIST: wheat flour, cane sugar, molasses, glucose syrup (wheat/corn), water, liquorice extract, treacle, humectant (E422), rice bran oil , salt, flavour (aniseed oil). 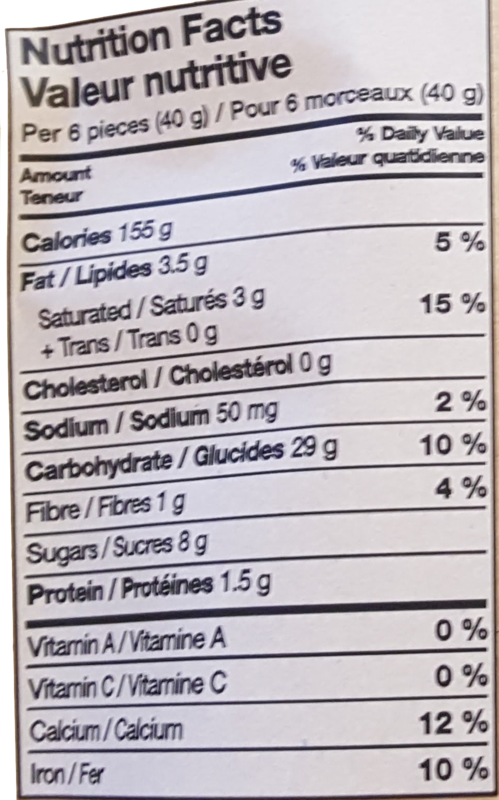 CENTRE FILLING: cane sugar, vegetable fat (palm kernel oil, coconut oil), whey powder, skimmed milk powder, cocoa powder, emulsifiers (soy lecithin & E476), vanillin (vanilla flavouring) 4% cocoa solids, 24% milk solids. Very nice change in the licorice candy! I love this variety ! I ate this entire bag when I got it... Didn't even feel bad about it!!! The best tasting licorice I have eaten in a long time. 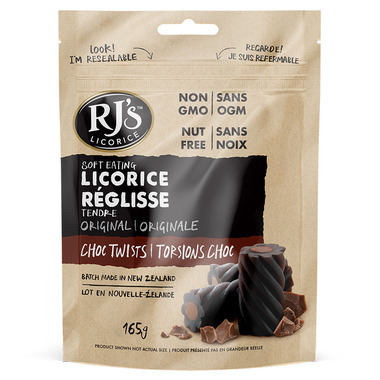 I like that the licorice part is soft (especially since I share the 4 bags I bought with my grandkids) and the chocolate in the middle is wonderful. Thank you to whomever thought to pair chocolate with soft licorice. And thanks to Well.ca for keeping this delicious treat in stock. These tasty little yummies are GREAT. The first time I tried them, it was instant craving for more. A nice licorice snack for anyone looking for something a little different! Love these! And I can't find them locally so was super happy that Well carries them! This is so good!!! Will buy again! Very tasty! The liquorice is very soft.